Was $600 now ONLY $400!!! Was $900 now ONLY $700!!! So you think Flat Glass is "easy", think again, look below...are you prepared for what you need to know? The 1-Day Flat Glass Course is an exceptional value to include with your Auto Window Tinting training. 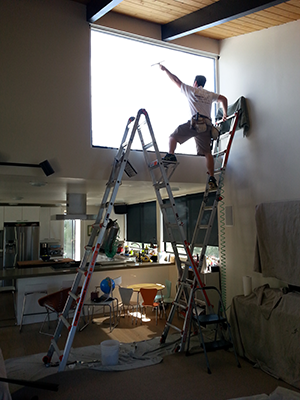 Here, you will learn that most windows, no matter how tall or wide, can be tinted by yourself…Yes, by yourself! With near flawless results and in one piece, even if the film is six feet wide. Think it's not possible? Attend our course and see for yourself! 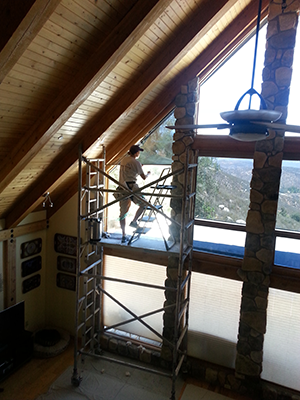 Don't let a "Do-It-Yourself Video" try and show you how to do this "professionally"…When only hands-on-training is the one true answer to completely understanding these well-kept secrets, taught by an experienced instructor here at Windowtinting.com! Keep in mind, please don't fooled by any "so-called" window tinting schools that do not offer the valuable curriculum time you need AND have the experience we do! But don't take our word for it...click HERE to see what our graduates had to say about us when it came to making the best choice for their training needs...just as you are doing right now! Cost Avg. : Install = $1500, Materials = $300, Time = 8hr., Profit = $150 per hr! Proper Chemicals & Mounting Solutions; i.e. The Flat Glass "Secret Sauce"
Film Splitting Techniques: Common Mistake to Avoid and Money Saving Secrets! Prepping Techniques: Cutting & Squeeging 101 and The Flat Glass "Process"
*The 1-Day Flat Glass Window Tinting Training Course is only offered to those of who have taken any one of the Auto Tinting Course(s), because certain lessons are already taught in those courses that will apply to your Flat Glass training. This Course will be held 8am to 5pm on the Saturday following a regularly scheduled week of any Auto Tinting course and will only be a max of 4 students per class. NOTE: All course Start Dates are subject to change unless otherwise noted. **The 2-Day Flat Glass Window Tinting Training Course is designed for those students that have not taken our auto tinting courses. This 2-Day course will have the same hours and max of 4 students per class as the 1-Day course, as noted above. This class is normally scheduled to start on every 2nd and/or 4th Wednesday of every month, or more so, NOT during our normally scheduled Auto Training week. However, we sometimes can be flexible on the Start Date, again, considering this course will be held not during an Auto Training Week; which starts on the 1st and/or 3rd Monday of every month. NOTE: All course Start Dates are subject to change unless otherwise noted. Please email or call us for current availability. Thank you!